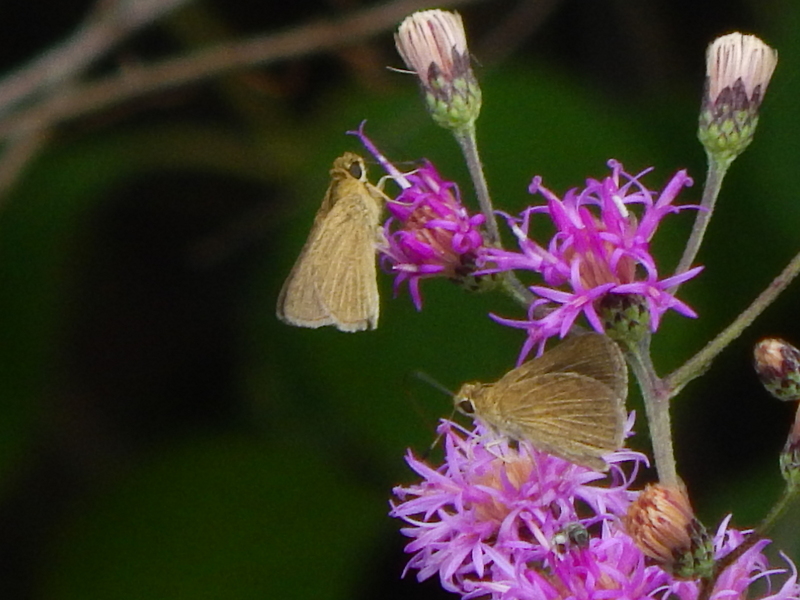 Observation notes: At one point, 3 of these skippers were nectaring on the one plant. Habitat: edge of thicket of medium-age pines w/ various understory plants, across road from brushy cutover. Upland, pine plantation setting.